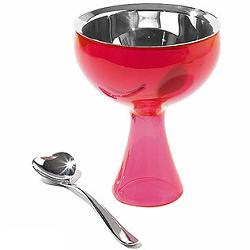 This one's for you Laurel, ice cream lover extraordinaire... put your ice cream on a pedestal with the big love ice cream bowl with heart spoon! Oh my! It IS made just for me!!! I gotta get some of these!